Happy Tuesday from FWS HQ! Today on the blog we are so excited to bring to you the elopement shoot at Le Domaine de Capelongue in Provence of Kristynn and Nertil. 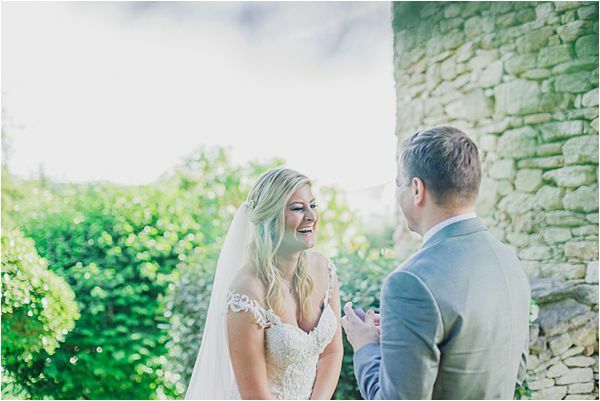 We witness them closely as Photographer Andrea Mariño captured the extra special moments atop a magnificent view of the picturesque and charming village of Bonnieux. 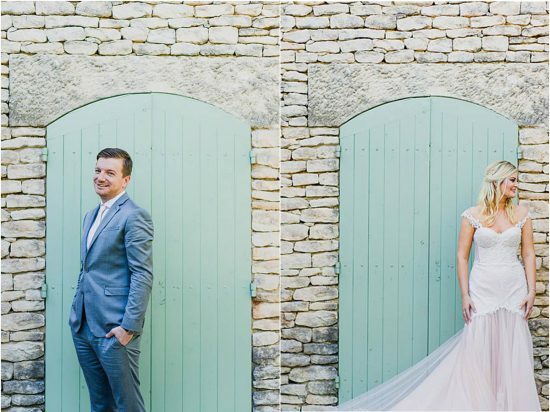 Kristynn and Nertil wanted an intimate moment for their wedding and they chose elopement at Bastide de Capelongue. 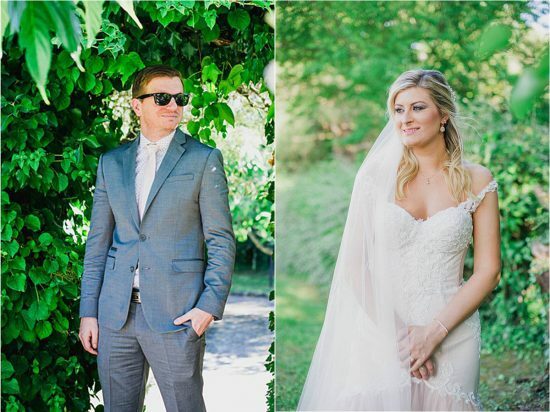 Located up on a hill with immaculate grounds and beautiful lavender field, their wedding was as real and as exclusive as they imagine. They met at a friend’s wedding in Wichita Kansas. The bride’s bridesmaid was unable to make it to the wedding, so she asked Kristynn to fill in for her. She happily accepted and there she met Til, who was the MC for the wedding. Til surprised Kristynn with a proposal over the memorial day weekend. Kristynn thought the trip was his brother’s idea the entire time, where they stayed at the amazing resort on the beach in Ft. Lauderdale. Kristynn recalled that Til was acting strange that day. Since they were a little early, they went outside to relax. He asked Kristynn to walk with him on the beach which she didn’t do because she was wearing high heels. They went to an adorable seating area that was secluded from everyone else. Kristynn heard Til said something and when she turned around, he was on 1 knee. At first, she thought he was joking because they had just joked about him proposing on the beach before they left for their trip. It was REAL. She said YES. As a person who works in special events, Kristynn knew how stressful weddings are for the bride and groom. 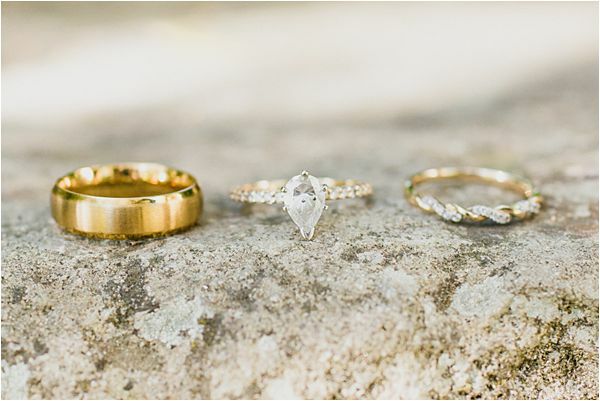 She wanted their wedding to be special and intimate. 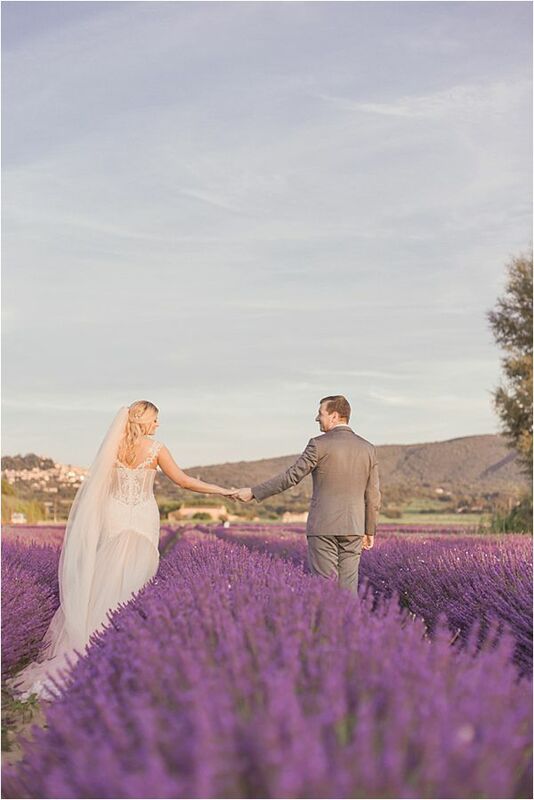 She searched for places in Provence, with a lavender-inspired field. 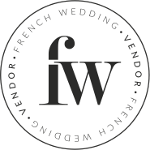 She had found a videographer that had filmed a wedding at Domaine De Capelonue and thought it was amazing. The grounds were so beautiful in a breathtaking location, plus it had a small lavender field. The day of the wedding was just perfect for the couple. “That it’s just us. No pressure, no audience of people watching. Just us, in our intimate, private moment,” Kristynn fondly reminisces. 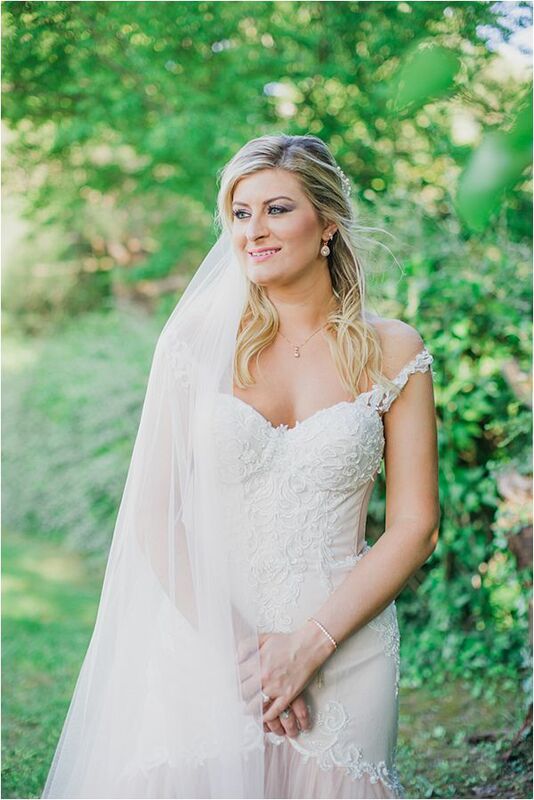 It took Kristynn 5 bridal salons to find her ideal dress and still didn’t find anything that was unique enough for her. 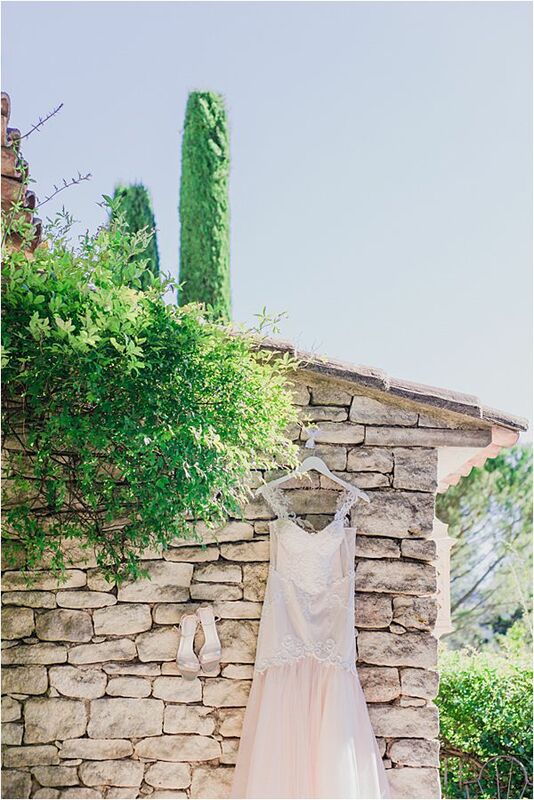 “I didn’t want my dress to look like every other wedding dress,” she said. 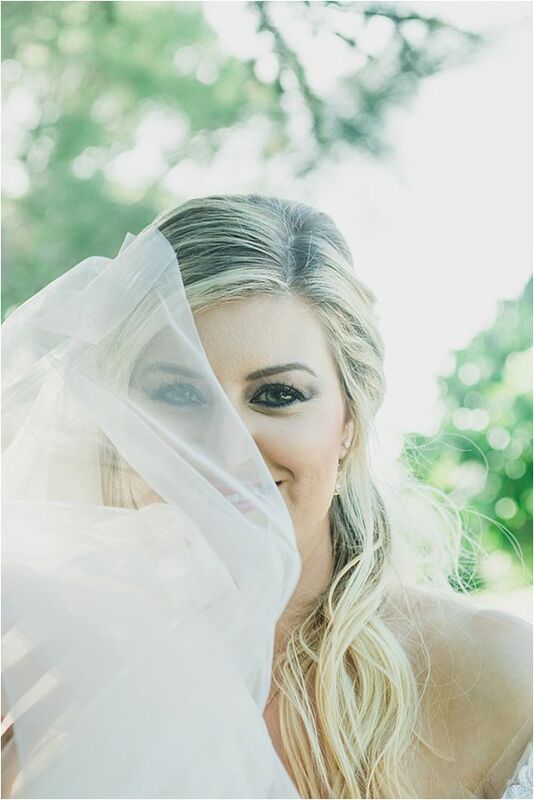 She went to Ricca Sposa Kansas City salon and for the first time, she saw dresses that were unique and different from all the others. She found the dress, and they custom designed the top of it. 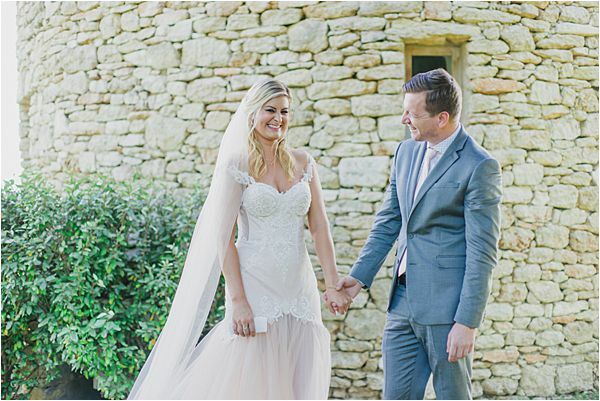 The dress was handmade in Italy and tailored perfectly to her body. It was the perfect dress! “Do what YOU want. Do not listen to other peoples advice. 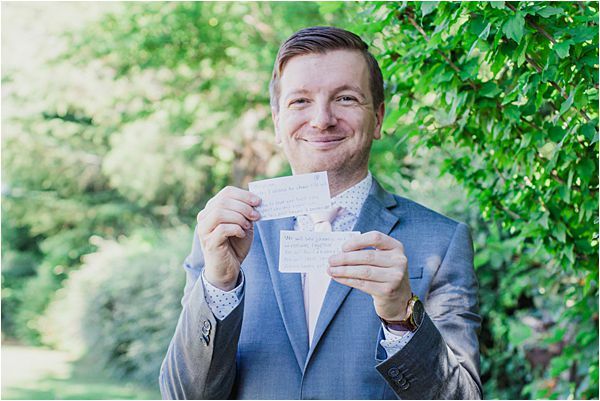 Your wedding should be about you and your fiance not anyone else. Don’t let the pressure from family or friends change your mind,” Kristynn said. For even more Provence wedding inspiration check out this stylish outdoor Provence real wedding.